This picture is freaking me out…. I can’t stop looking at it. Can you see? Standing in that window on the left is the faint shadow of a really tall man. You have to look pretty hard at first but once you see it…. arrrrrgh! GHOST! I got this photo from a feature in today’s Telegraph. They actually have a load of them that have been sent in from different readers, but this one is the weirdest. 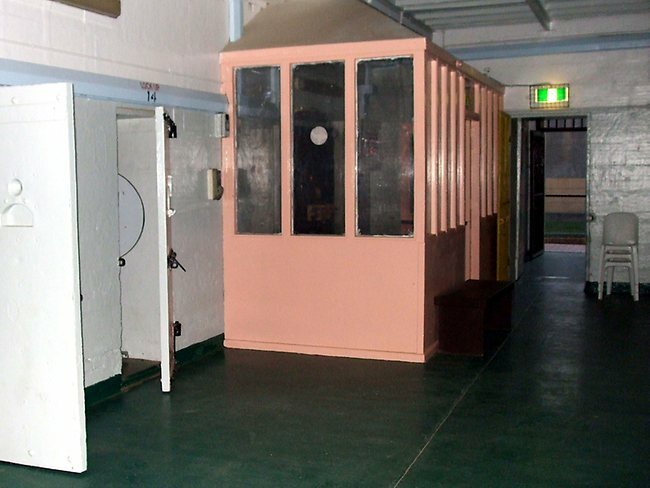 It was apparently taken on a tour of the haunted Maitland gaol. I really wanna go. I frickin’ LOVE stuff like this. It’s a bit of a dirty secret but most nights I will read about half an hour of “true” ghost stories on my phone or iPad, via the app ‘True Ghost Stories from Around the World.’ (I know, I need a life). But really, there’s some scary crap on there. You’d be surprised, too, how much of it is written sooooo very badly. The worse the story is written, the more likely it is to be true, I reckon. Well… they are obviously not writing for the sake of writing, that’s for sure. They just have a story to tell, a demon to fight, a gran that won’t stop sitting on the end of their bed… even though she died 3 weeks ago. 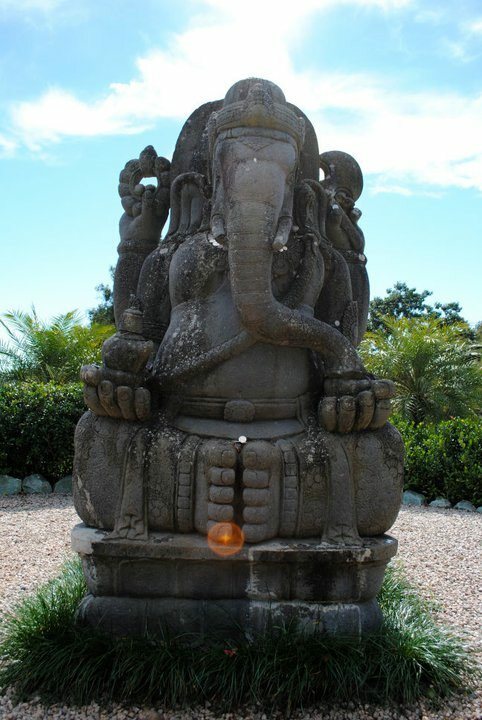 This reminds me… last year when my mate Ewan and I were at a place called Crystal Castle, he took the below picture of a statue. And look at the orb on it. He actually took two shots and both featured the orange orb in a different place. In bright daylight, with no fuzz on the lens, no dust in the air, no clouds in the sky. Spooky! What do you think it is? I think it looks far more peaceful and pretty than anything in the first picture. Arrrrgh. I’m gonna have nightmares tonight. Dare I say, shadows and lens flare?